Trainers hear this all the time. 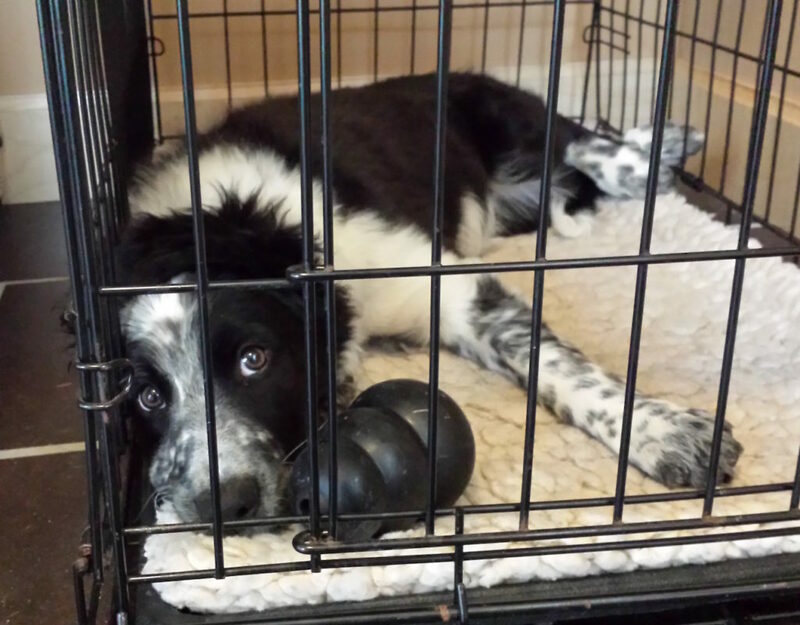 What puppies really hate is not the crate, it’s being left alone. There are certain instincts that our domestic dogs seem to retain from their wild ancestors and this is probably one of them. A very young puppy left alone in the wild is lunch for a predator. Scream for your mom to rescue you! And wild moms will definitely do that. What about a puppy’s human mom (or dad)? Your puppy should learn that when they are afraid they should come to you. And you should carefully build their confidence so they are not so afraid. Don’t just cram a puppy in a crate and expect they will be fine. You have to actually TRAIN them.